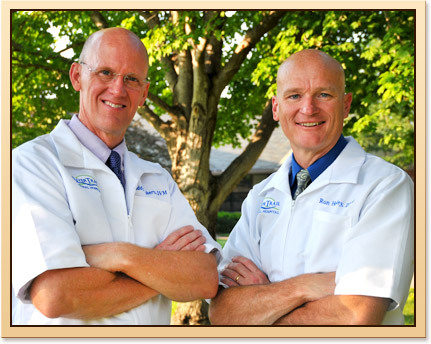 Founded in 2011 by Doctors Ron Hooley and Roddy Roberts, River Trail Animal Hospital & Pet Lodge offers veterinary care to pet owners in and around Tulsa, Oklahoma, delivering a singularly exceptional veterinary experience. Our newly built veterinary hospital facility is home to cutting-edge medical technology as well as a highly trained medical staff of veterinary professionals. Our veterinarians share more than 45 years of experience, while all our certified veterinary technicians have college degrees and receive continuing education certification. However, we also understand that facilities and talented staff alone are not enough to earn our clients’ trust and continued patronage. We know we must treat you with the respect you deserve while providing superior customer service and top-notch medical care. As animal care professionals, we know the key to providing your pet with a long, healthy and happy life is preventative care. This is why thorough pet wellness checkups are a standard piece of the pet care we offer. We also believe the judicious application of vaccines is critical to preventing dangerous diseases, and have developed a protocol to protect your pet from the diseases most common to our region. Preventative care does not begin and end at our facility. When you come in for an appointment you will receive important home healthcare advice, as well as new information and recommendations for the care of your particular type and breed of pet. We also would like to hear from you how your pet is doing and answer any questions you may have or respond to your concerns. We also understand that accidents and illness will happen even to the healthiest of pets - and providing healthcare solutions for your treasured companion is where River Trail Animal Hospital & Pet Lodge truly excels. The skill and expertise of our veterinarians is enhanced by modern diagnostic imaging equipment, in-house medical testing capabilities, a complete surgical suite, and a wide range of internal medicine expertise and resources. 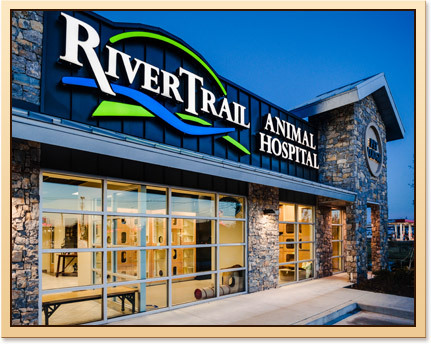 We invite you to visit our facility to see for yourself why we believe River Trail Animal Hospital & Pet Lodge is the perfect partner in the long-term care of your dog or cat. For more information give us a call at (918) 728-7494.